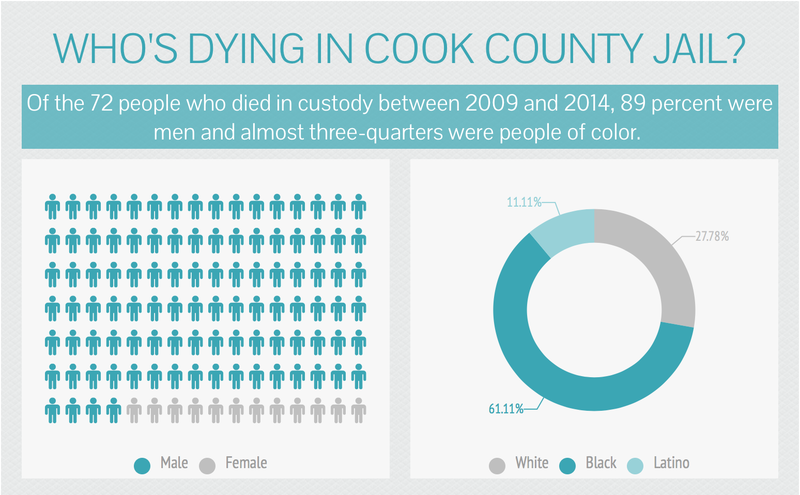 I talked with the Chicago Reporter about deaths at Cook County Jail. While they have looked into more recent incidents, there is a deeper history of deaths at the jail that includes murders, suicides, murders covered up as suicides, likely murders by staff covered up as suicides or murders by inmates… and not to mention deaths by medical neglect, failure to properly care for people who are suicidal, and deaths by disease or that occurred under medical care. It is important to note that in the history of the jail, the care that inmates and detainees receive at Cermak Hospital and in the other jail divisions is probably better than it has ever been and there are a lot of good people at the jail working hard to provide healthcare in very difficult conditions. Tragically for many, the care they receive at the jail will be the only time they ever get access to the care they need. We need a reconfiguration of our social priorities when that is the case. In the historical record it is difficult to find evidence of these deaths as they have not been consistently reported to newspapers and, as far as I can tell, there are no official documents that exist from my period of research (1950s-1990s) in which the jail even kept track of these incidents. For our own moment, transparency and accountability is key. One silence in this piece is the courts. Should sick or chronically ill people be sent to jail, particularly to await trial? Is it better if someone does await trial in jail so they can get access to needed healthcare? While the jail lacks discretion– as noted in the piece– judges have the capacity to answer these questions in bond hearings and citizens must find ways to weigh in as well.